Come join me tomorrow (Friday, June 2nd) at Addison Cigar and Tobacco for the reveal of my newest cigar band portrait! I’ll be there from 4-8pm. The shop is located at 15401 Addison rd. in Addison, TX. I hope to see you there! New piece for sale! 24″x36″ American flag. First of a series. ‘Cuz why not?! 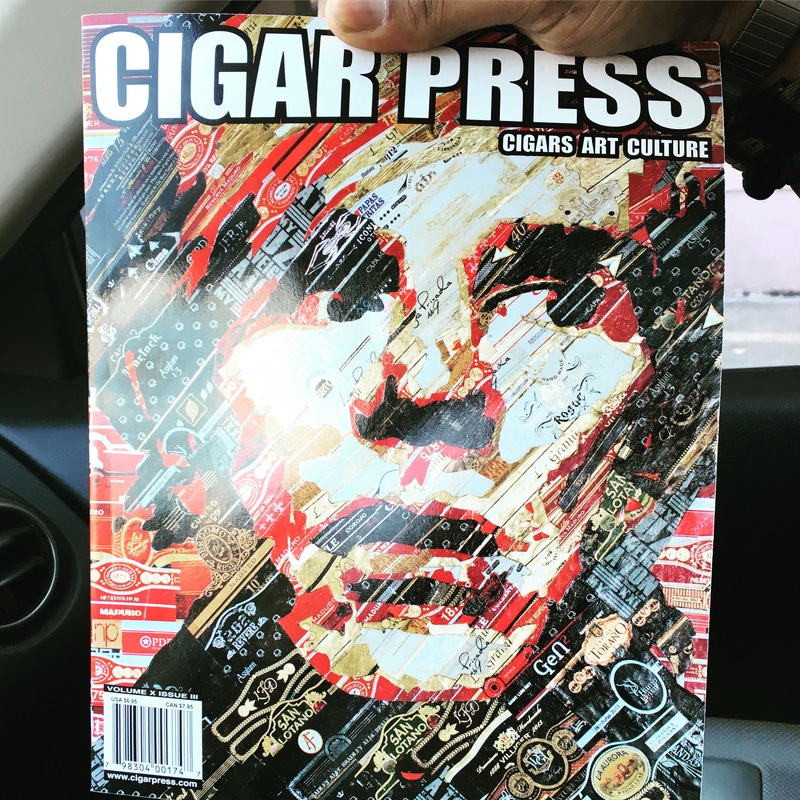 Make sure to check out the next issue of Cigar Press magazine! 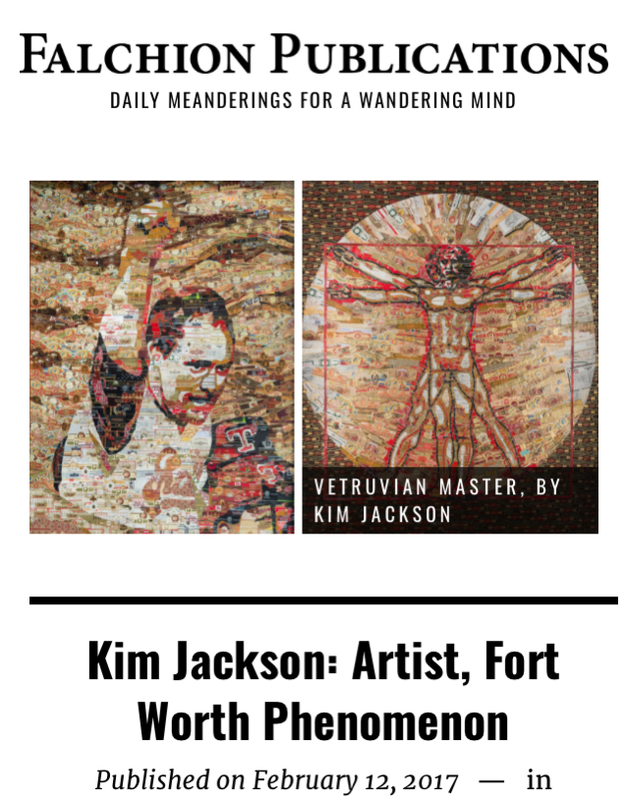 Last week I was invited to do a short interview with Falchion Publications. It was awesome for them to have me. Check out the full article in the link below! 36″x 48″ cigar bands and glue on masonite board. 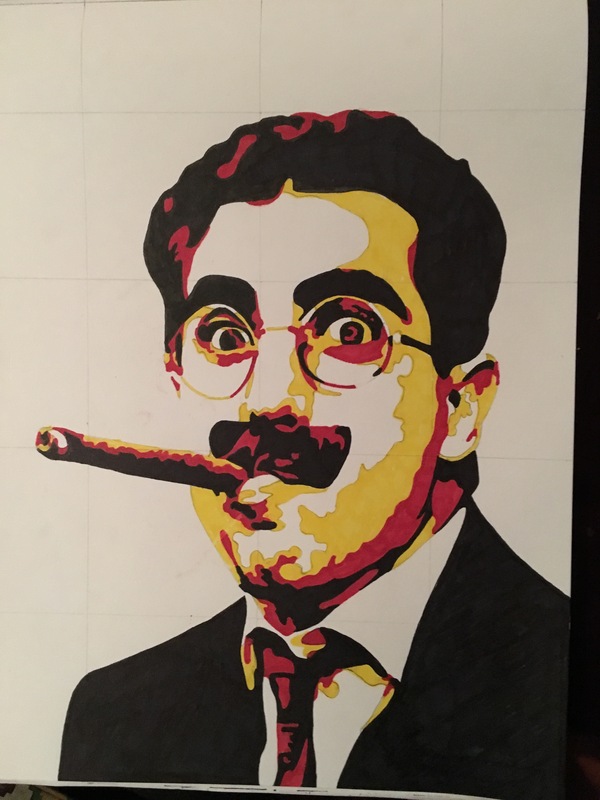 Marker drawing of Groucho Marx. Next in line for the famous cigar smoker series! The cigar band portrait will be measured at 36″x 48″. 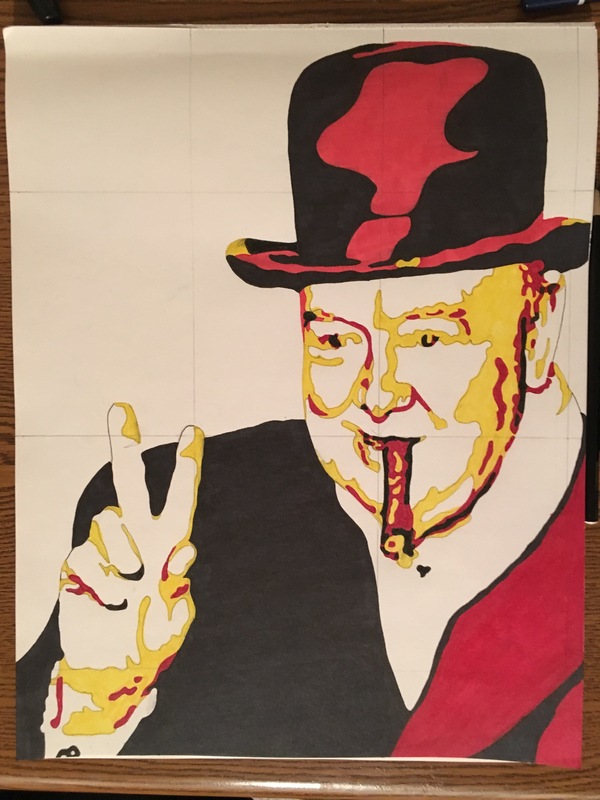 Copy image of original artwork: Cigar band Churchill by artist Kim Jackson. Photo by Robert Hart. Winston Churchill portrait made from used cigar labels and crafting glue on masonite board. 36″x48″. Commissioned piece. This is the blueprint marker drawing for the next cigar band portrait. It will be 36″x 48″. 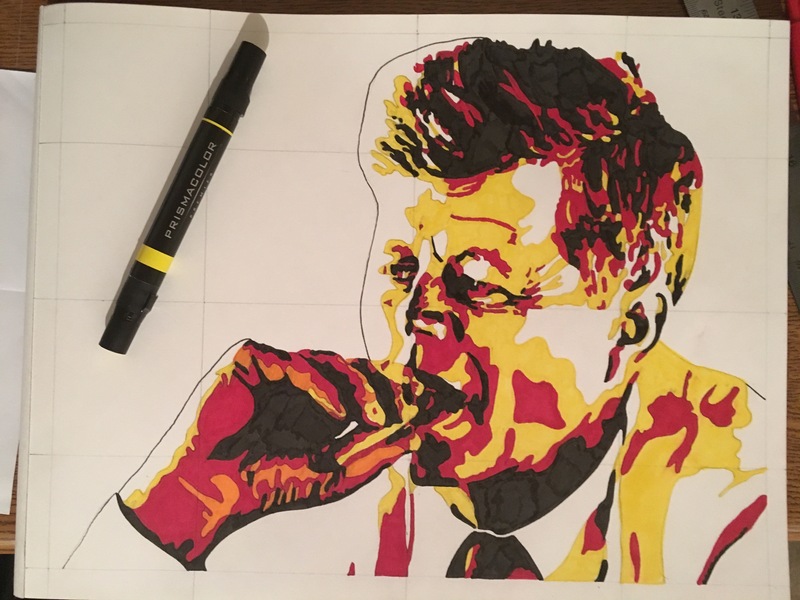 This is my marker drawing that will act as a blueprint for a commissioned portrait of JFK smoking a stoge. 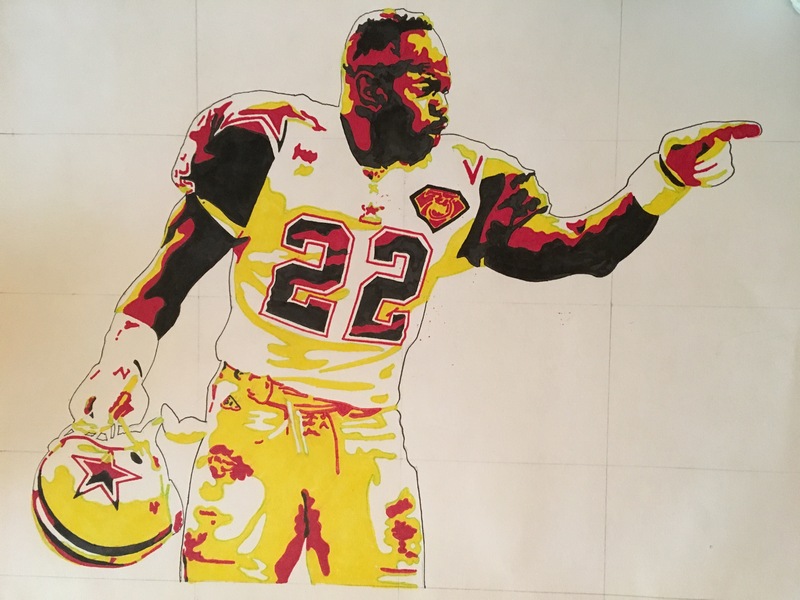 The piece will be 24″x36″ and made 100% out of cigar bands, of course. Final piece will be posted very soon!